Hospitals are unique environments with certain challenges not found elsewhere. WebMD recently reported a fivefold increase, in some community hospitals, of cases of disease caused by antibiotic-resistant bacteria. These bacterial infections are extremely dangerous, especially to the elderly, babies, or those with compromised immune functioning, because there is no effective treatment. Hospitals are working on reducing this risk by improving their HVAC systems, since transmission of this disease from one person to another is possible in part by the airborne spread of the bacteria. PBS did a special television report about antibiotic-resistant bacteria, calling the phenomenon an evolutionary war that we have created for ourselves—that will only get worse. One method of resistance includes putting up the best defenses in medical centers. HVAC systems in hospitals are a primary line of defense against the spread of airborne diseases. 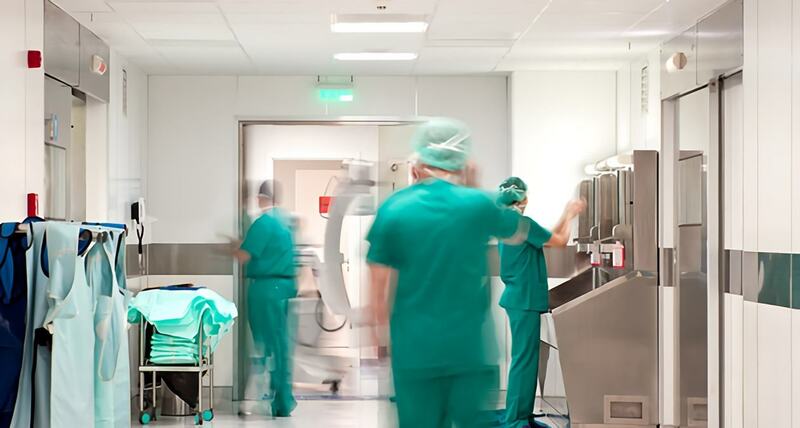 Contaminated HVAC systems in hospitals are also a contributor to the danger. The National Institute of Health published a recent report in July 2014 called EHP – Rethinking Sterile: The Hospital Microbiome. It investigates how HVAC systems are one of the main vectors for transmission of infectious agents between humans. A highly qualified HVAC technician is an essential part of the equation to optimize the safety and effectiveness of medical centers. It is rewarding to know that working as an HVAC technician in a hospital—and working to maintain the best practices, maintenance, and operation for hospital HVAC systems—may result in saving lives. These are just a few examples of the special equipment installed in hospitals. A technician with proper HVAC certification will learn how to install, maintain, and upgrade this type of equipment as part of specialized training in hospital HVAC systems. The book is available in some libraries or a copy may be purchased from ASHRAE. There is also a free PDF available, called “Hospital Isolation Room HVAC System Design,” that was an ASHRAE YEA Illinois Chapter presentation made at the Specialty Environment Design Conference in March 2014.